for moderately cold climate - from + 400 ° C to minus 600 C.
Separators are designed for use in areas with seismicity up to 6 points inclusive twelve point scale. 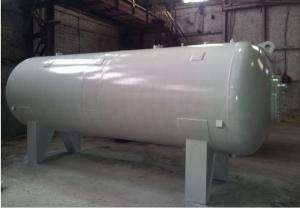 Climatic performance separators Y and UHL category 1 according to GOST 15150 with installation outdoors. Type II-P - without gas extraction sites, with defoaming nozzle. The sealing surface of the flange fittings specified when ordering separators. Upon request and agreement with the project organization is allowed to change in the structure of the separator to install additional internal devices, and change the location of fittings for a specific process. Separator NHS-I-II-1.6 - 1600-2-T and TU 3683-015-00220575-2002. All requirements of this specification are required. 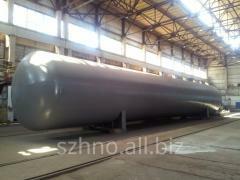 Unbelievable price on Gas separators for oil degassing of non-foamed and gas treatment in Severodonetsk (Ukraine) company Severodoneczkij zavod himicheskogo nestandartizirovannogo oborudovaniya (SZHNO), ODO.